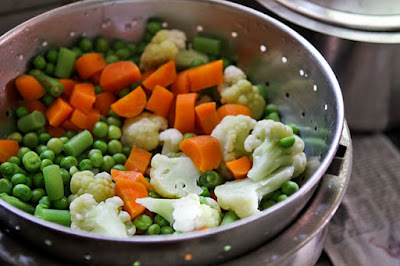 When boil vegetable are eaten then its strength increases. Some vegetables such as spinach, carrots, sweet potatoes and cabbage. The taste and nutrition can increases by boiling and cook some vegetables. Carrots: Add chopped carrots in plain water. Mix a pinch of salt and a little pepper. Boil it and eat it. It will be nutritious for your eyes. Beet: To overcome from blood loss and menstrual problem you can eat boil beet. Beet should not be boiled more than 3 minutes. Potatoes: Whenever you eat potatoes then you should boil it because it has fewer calories. Beans: Boil the beans for at least 6 minutes. Then add the pinch of salt and pepper. Boiled beans are good for diabetics. Spinach: Scientists say that if green leafy vegetables eaten after boiling then its strength increases. Especially fenugreek and spinach. Sweet Corn: Sweet corn needs more water and enough time to boil. But we cannot eat without boil. Sweet corn is high in nutrition and fibers that keeps constipation away. Sweet Potato: Sweet potato has very much carbs which is extremely important for the body. If you’re on dieting then you should eat sweet potatoes. Cauliflower: Cauliflower cooked in steam is considered quite nutritious. Nutrients and vitamins are not destroyed by boiling them. Cabbage: The taste increases when you boil cabbage. You can also use the water which you used to boil cabbage. Because it contains most nutrition. Broccoli: The test appears very good when you boil broccoli. If you want to eat this dish as simple then you can add little olive oil when you boil it.